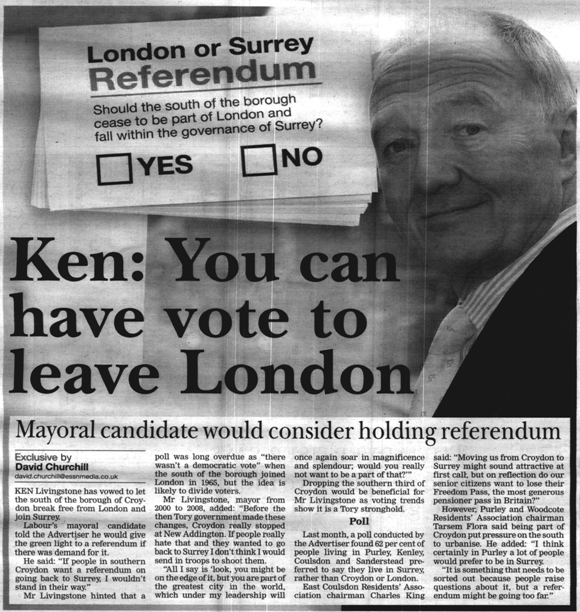 Yet more evidence that Ken is just stealing my policies but timidly watering them down so as to be virtually pointless… You need to be braver than this Ken. London is an engine of inequality that needs breaking up, but only I’ve got the balls to say so. This entry was posted on February 28, 2012 at 4:59 pm and is filed under Croydon, London Mayor 2012, South London. You can follow any responses to this entry through the RSS 2.0 feed. You can leave a response, or trackback from your own site.